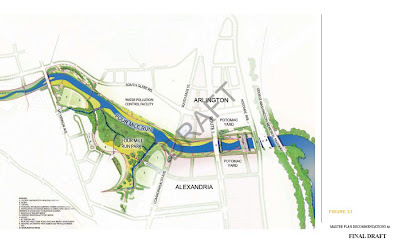 There is an existing Potomac Yard Metro reservation, but the Potomac Yard Planning Advisory Group (PYPAG) discussed alternative locations at a past meeting. 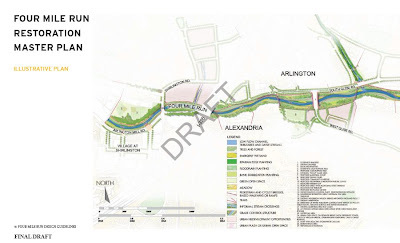 I snagged the image from Alexandria Planning and Zoning (original PDF here). 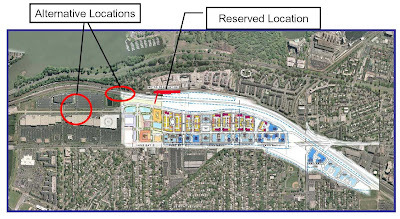 The proposed location indicated by the big red circle directly in the middle of the current Potomac Yard shopping center would be an underground location. Undergrounding the station would be a more costly alternative (an estimate from a member of the PYPAG was 2-3 times as much as another station), but it would maximize the density around the station with redevelopment of Landbay F (current shopping center). Proposed density in Landbay F will be similar to Landbay G (south of Landbay F, adjacent to the initial Metro reservation), but the reservation would be across the tracks from the development. 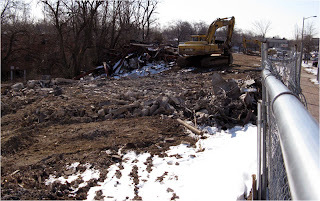 Development under Landbay F would allow more integration with the neighborhood, shorter walks to Metro for more people, and possibly more connection to the proposed Route 1 Streetcar or Bus Rapid Transit corridor (GGW discusses those plans here). 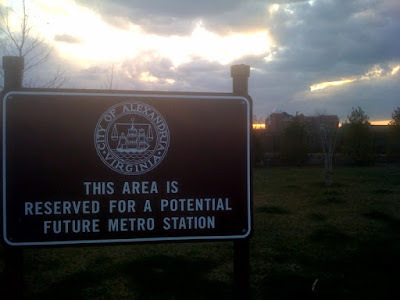 The underground station would be a 0.7 mile (about 13 minute walk) from the Birchmere the potential redeveloped Safeway/Datatel site. No hop, skip, and jump, but certainly closer than the 1 mile walk from the same starting point to the current metro reservation. 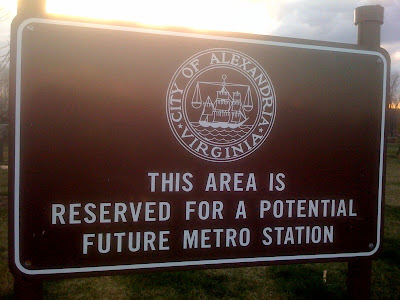 This very well may be a pipe-dream, but perhaps the city of Alexandria will see the benefit of additional free trolley lines between Metro stations and other portions of the city. You might ask, why do we need a trolley when there is Dash and Metro bus service all around Alexandria. Truthfully, I'd love to hear additional arguments about the benefits of a free trolley. Feel free to provide opinions or statistics about the benefits, besides a free ride to Metro for residents (which is a good place to start). Would a line bring people in? Would it's ridership justify its cost (The cost of the King St. trolley could be up to $800K/year). 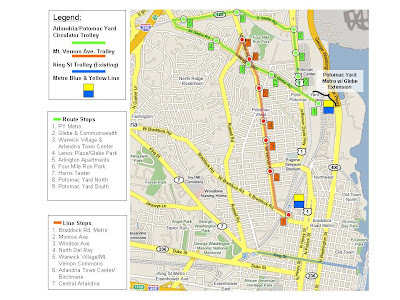 I mocked-up two potential trolley routes. The Mt. 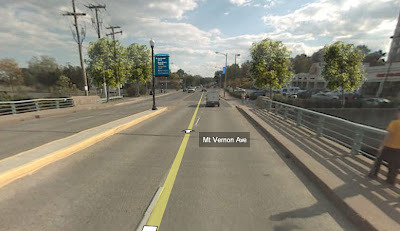 Vernon Ave line could happen. In fact, I've even heard rumors that Old Town might want to give up theirs because the in-between businesses miss out on a lot of potential window shoppers. 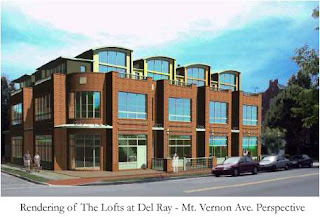 Del Ray and Arlandria don't have the "problem" that Old Town has -- a main attraction. Trolley riders in Old Town are primarily trying to get from the King St. Metro station to the waterfront. 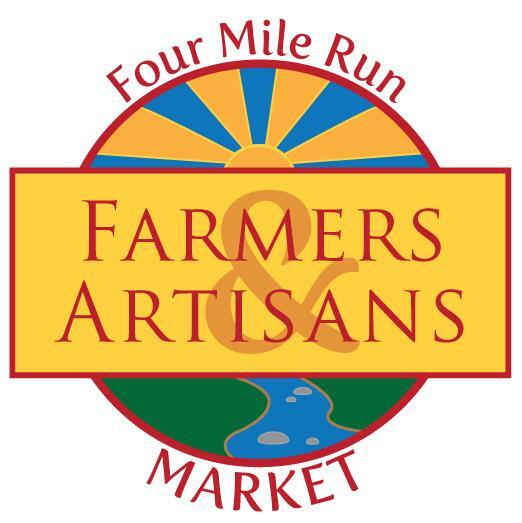 In Del Ray and Arlandria, it's more about a sojourn than a destination. The Birchmere could be one destination, but no one is walking from the Braddock Rd. Metro to the Birchmere as it is. The green colored route would be a nice-to-have whenever Potomac Yard development gets further along and the Potomac Yard Metro gets built (yes, I said when, not if... I'm an optimist). Take a look, let me know what you think and if you have any other potential stops to add or an idea for a better route. 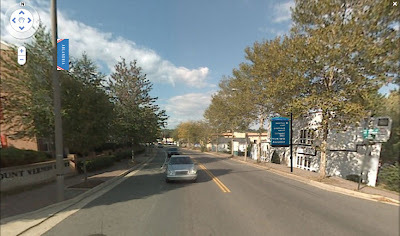 Thanks to Google Maps Street View and a little "Photoshop magic", here are three different views of what Arlandria might look like with some way-finding signs in place. Click to see a larger view of each. Note: "Photoshop magic" should really read "negligible Photoshop skill." Magic just sounded better.